Evolution Motorsports ECU Tuning - Dezod Motorsports Inc - Home of the automotive performance enthusiast since 2002. 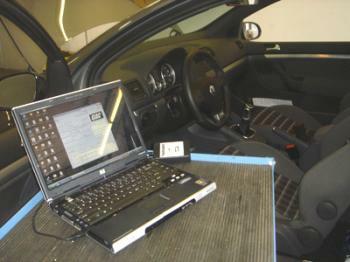 EVOMS in co-operative efforts with GIAC are proud to offer the safest, most powerful ECU tuning for your vehicle. The ECU program we offer will add up to 50HP and 85Ft/Lbs Torque. Please call for Specific Power Gains – and to specify modifications!